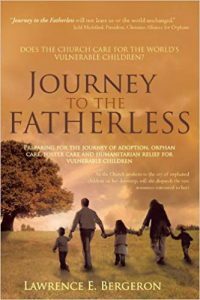 Lawrence E. Bergeron states that the purpose for his book, Journey to the Fatherless, is to “help the Church both awaken and prepare her people for the journey to the fatherless.” Being awakened to a need- any need- does not prepare one to meet that need, and this author is well-equipped to prepare other families for their journeys to adoption and orphan care. 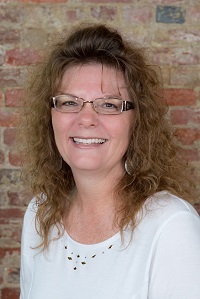 Bergeron has personally experienced adoption and mobilized relief for orphans through A Child’s Hope International, a foundation which feeds orphans, gives grants to adoptive families, and provides other numerous orphan care programs. The book contains fifteen chapters, and begins with a challenge to do something about the global orphan crisis. It concludes with an encouragement to “end well.” Whether an adoptive family, a foster family, or an advocate for orphans anywhere, we must remain faithful and not abandon our mission. This book is unique in that it is accompanied by a discussion and study guide, and is designed to be used in a small group setting as preparation to enter the world of orphan care. Compassionate people who are burdened for the plight of the orphan will find each chapter thought-provoking and filled with practical actions to aid the orphan in his distress. I believe the small group setting will provide an opportunity for open and honest discussions about the hindrances to orphan care, and will provide much-needed support to start and continue the journey. The author gives helpful suggestions on group management and format. It is evident through the author’s vast knowledge of adoption statistics, examples, and quotes that he has researched all aspects of adoption and foster care thoroughly, and stands on the shoulders of previous experts. I appreciate his explanation regarding the comparison of poor children in the US to vulnerable children around the world. Parents who adopt internationally are often asked questions like “Why do you adopt overseas when there are so many needy children here?” I believe that this question is asked out of misunderstanding, not out of a negative spirit. However, it deserves an answer, which Journey provides. First, there are numerous organizations, food pantries, and school programs that feed hungry American children. Second, America’s poorest citizens live at an economic level far above the poor citizens in other parts of the world, and have many more opportunities. Have you ever seen a malnourished child lying on the side of the road, on the brink of death, in our United States? Certainly not! We must care for all the children in the world, here and abroad. I thank the author for his courage to face this question head-on. This book is not an easy read. If you want a quick, feel-good synopsis of orphan care, this book is not for you! If you desire to delve deeper into the world of the orphan and to look at redirecting your view of the American dream to radical actions to help the fatherless, this book is for you.